"Around the World in 80 Nights"
With training and development qualifications Beth is often speaking at locatl and international events due to her passionate about utilising science and psychology in investigations. She is an Independent Paranormal Investigator, Speaker and Paranormal journalist who also produces the successful "Access ParaCast" (podcast for Paranormal Investigators) and online school "Access Paranormal Investigator". With a world full of possible haunted locations, there are only a handful that have a reputation. What's it like walking the dark hallways of Waverly Hills Sanatorium in Kentucky? What happened when investigating the London Tombs in the UK? Is the pool area of the majestic Queen Mary as active as what people say? What did occur outside the barn in Prospect Place, Ohio? 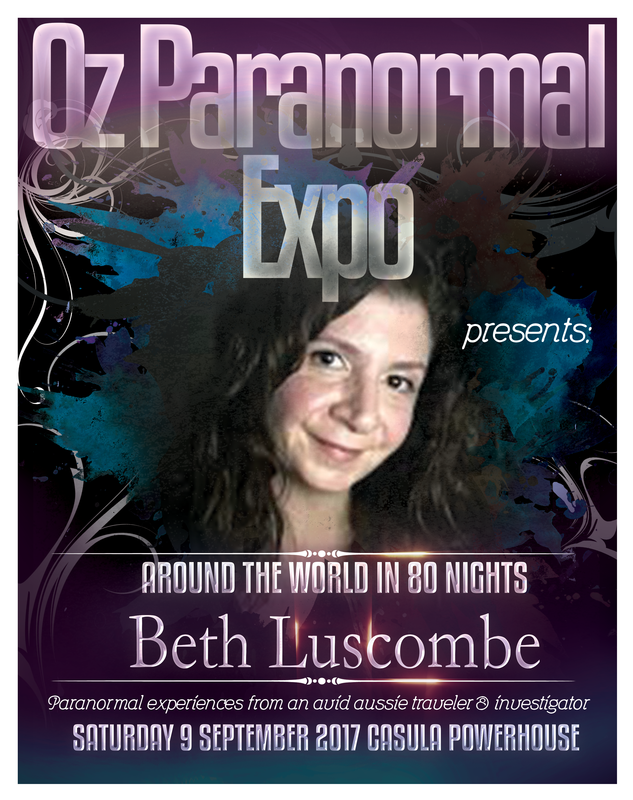 Come along to hear these and many more experiences from an avid aussie traveler and paranormal investigator.